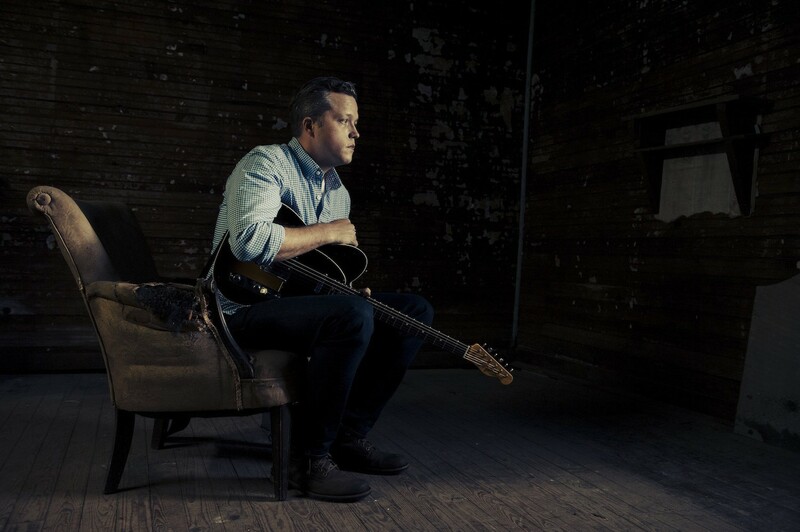 Jason Isbell in a publicity shot. Jason Isbell's Alabama, dirt-rusted vocals poured into Richmond's Altria Theatre on Tuesday night, with lyrics ranging from buried lovers to sins committed, atrocities best kept to song over sonnet, stage over reality. But those in attendance were left to wonder: What has he omitted? The opening song, an uplifting, optimistic "If It Takes A Lifetime," ironically underscored his rapid ascension to the goals professed therein: hard work, overcoming technology's negativity, and accepting the influence of his greatly talented violinist and wife, Amanda Shires. The bright lights of the mosque illuminated the dark corners of an unknowing audience when "Decoration Day," the disturbing tale of backwoods banality, rang from his amplified, haunting electric chords. Four and a half years sober -- an accomplishment, or perhaps a punishment, for which he credits Shires -- drew wild applause from an audience that seemed modestly intoxicated. Richmond being the locale of his swearing off alcohol, it was a touching duet when he and Shires delivered together, "Cover Me Up," which includes the evident lyric of his final days of drunkenness: "When I tore off your dress / In Richmond all high / I sobered up / I swore off that stuff / Forever this time." This irony was a reminder of the personal nature of Isbell's work: It clings to the soul of struggling man. May it be alcoholism, addiction or old fashioned stupidity, he has a song you'll relate to and a story of addiction that principles its own success in our beloved city. Behind the stage was a trilogy of symmetric religious mosaics, busted to pieces by such lyrics as "[God] is something like a pipe bomb ready to blow." 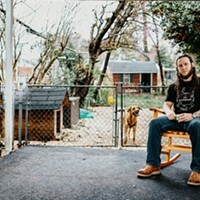 Nonetheless, it appears that Isbell's southern roots include an earnest Christian faith. Shires, whose talent eclipses that of her husband, subtly played the role of gris eminance, dominating both the man, his sobriety and the background lights of creamy green, blue, purple and orange -- bright escapades toward sober atonement. "I've got green and I've got blue" -- subtle recognitions of on-again, off-again pot and prescription drug habits -- was a nod to the past Shires has, by all appearances, put to bed at the tip of her fiddle's bow. Uniquely, these came together in an aqua backdrop that peaked with a seven-spotlight brightness upon the recovering alcoholic. The religious undertones, sincere and unapologetic, come off as gently uncertain. While stark, they also depict a Christian apologist in denial. Closing the double encore with "Ain't never gonna change," it's clear that Isbell's metamorphosis hasn't included a makeover, but a coming of age. His former DBT colleagues must be overflowing with discontent, literally having driven by and driven out from their circle one of the most talented musicians of our generation. Isbell and Shires certainly have a home in Richmond. I hope they frequent it. Editor's note: This version corrects the spelling of Amanda Shires' last name. 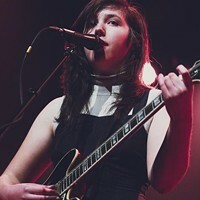 Plus, local musician Lucy Dacus debuts new song on NPR.